If you drive north along Highway 49 headed for the old mining town of Downieville, you'll pass another old mining community called Goodyears Bar. During the first four or five years of the Gold Rush this spot was some of the richest placer gold ground ever worked in California's North Yuba River watershed. 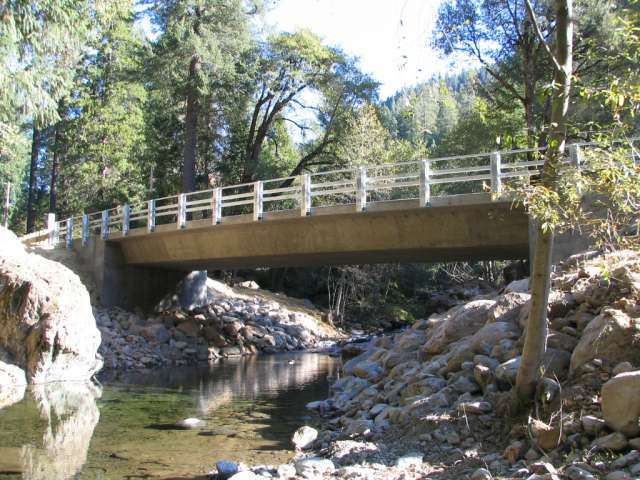 The Bar was named after two brothers who came to California's northern mines seeking their fortunes in the summer of 1849 and had nothing to do with the purveyance of liquor or saloons, but the numerous gravel bars nearby. Miles and Andrew Goodyear were, like so many other Argonauts of the day, easterners with little gold mining knowledge or expertise. But what the Goodyear brothers lacked in experience they made up for by being the first to establish themselves at a location that showed great promise. You see, Miles and Andrew settled at a spot along a creek (and its tributaries) that had spent millions of years cutting its way through rich gold veins and ledges, as well as ancient Tertiary Channels heavily laden with the yellow metal. Some wags of the day liked to boast that Goodyears Creek (as it came to be known) was more gold than gravel and they weren't that far off in their exaggerations. The area in and around Goodyears Bar was rich ground indeed. How rich? As rich as the golden vaults of old King Midas. One historical narrative claims that the Goodyear boys recovered nearly $30,000 worth of placer gold in a single day working a large gravel bar that lay close by to their sturdy cabin. This was during a time when gold brought only around $16.00 a troy ounce in the mines and, if you were lucky, $22.00 an ounce elsewhere. Today, a gold recovery like the Goodyear boys had on their best day ever would bring you well over 2.5 million dollars at the current spot price per troy ounce of gold. A double millionaire for a day's work... just think of it. Knowing all that I do about about small-scale gold mining, I'd have to say that if this narrative is true the gravel Miles and Andrew ran through their rocker box was like the old timers said...more gold than gravel. I can't even imagine such richness. If you're wary of the $30,000 a day in gold tale, it's well documented that other miners working above or below the ground held by the Goodyear brothers consistently recovered gold values in the $2,000 range per wheelbarrow of gravel panned or otherwise processed. 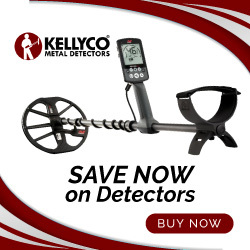 Let's see, one wheelbarrow full of that gold-rich gravel would bring you over $170,000 today. So the odds that the Goodyear boys made a the equivalent of a couple of million dollars in one day working their gravel bar are pretty damn good. Unfortunately, the good times didn't last long for the Goodyear brothers. In November of 1849 Miles fell ill and despite Andrew's attempts to nurse him back to health, he passed over that final divide. By 1856, the richest days at Goodyears Bar were gone "up the flume" as the 49ers used to say. Sure, plenty of gold remained in Goodyears Creek and its tributaries, but it would take very hard work to get it out and there'd be no more $30,000 days...or even $2,000 days, for that matter. Today, most (if not all) the gold ground near Goodyears Bar is claimed up tighter than a miser's coin purse. Yet, good gold values are still to be had where the Goodyear brothers once lived and worked. Thirty years ago I had the great good fortune to gain permission to work a section of Goodyears Creek and it was still excellent gold ground then (by today's standards, anyway). You could take a sample pan from nearly any location there and recover numerous decent-sized flakes of gold in each pan of gravel. Hello mate, Gerry here or GS as you may know me. This is not really a comment more a question re: your Bedrock Dreams site. As I go along with my documentary is it OK with you that I mention the site as the place I go to for research? May or may not do anything for you, I have to sell the thing down the track. It is my first port of call and I do take what I learn here and try to put it into practice. If I can I would like to send you some footage for you to look at before it gets put out there. Not a promise because I could screw it all up but it is something I would like to attempt. At this stage being on the lease/claim and doing all what's needed there and filming leaves me buggered some weeks. But you know what, I am out of captivity and I love it. Gerry, would you please contact me via e-mail as far as your request is concerned? These comment sections are really for comments, not questions like the one you are asking (for reasons that should be apparent). So give me a shout at jr872vt90@yahoo.com, will you? My best to you Mate and thanks for commenting. J.R. Thanks for the kudos Gary. 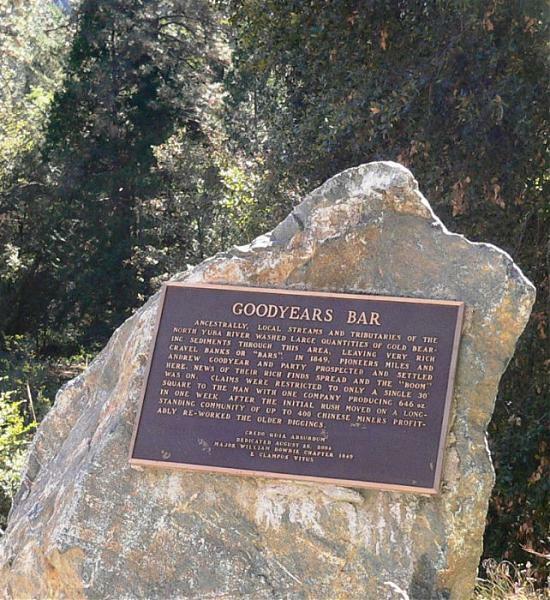 I would love to have seen Goodyears Bar in its pristine state...just imagine...it would've been like a fairy tale where the ground under your feet is golden. I'll be offline starting June 24th, so no worries. J.R.